Patti Luchsinger is an Independent Contractor at ERC and has over 25 years of experience teaching technology. Patti has over 25 years of experience teaching technology for Fortune ranked companies in addition to large, medium, and small businesses. She recognizes the need to adapt to the way you deliver training by incorporating accelerated learning strategies that meet the diverse and ever-changing needs of today's learner. Her learning initiatives measure and maximize productivity in Microsoft Office applications, mobile devices and more. She fine tunes her curriculum so it's specific to the client’s environment and the needs of its end users. 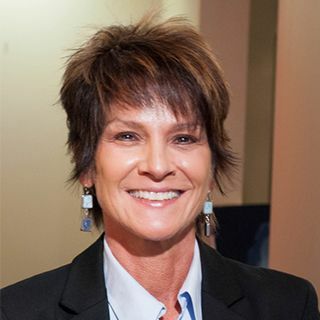 Patti teaches onsite and web based training classes in Microsoft Office applications, mobile devices such as iPads, iPhones and Tablets, and end user VoIP solutions. Patti is a graduate of Youngstown State University with a Bachelor’s Degree in Education.